Improve your chances of getting loan with better cibil score. 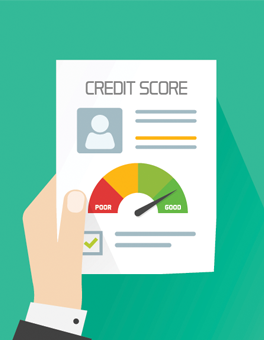 According to a survey from The Economic Times, 53% of Indians aren’t aware what credit scores are and a whopping 89% don’t know their own credit score. If you have already taken a loan in the past or you are thinking about taking one, chances are, you might know what CIBIL credit score is. But in case you don’t, CIBIL is an organization which provides credit data of individuals to financial institutions so that they can make informed credit decisions. In simpler terms, CIBIL credit score is a metric used by banks and loan companies to decide whether someone has the financial means and ability to pay back the loan in due time. The score varies from 300 to 900 – anything above 700 is considered a good score. But if your CIBIL score is less than 700, the that means, you will probably have to make some changes to improve your CIBIL credit score before you can apply for a loan. 1. Do not apply for credit cards back to back, if you are getting rejected If you have already applied for a loan and a credit card and both the requests got rejected, then it’s better to wait for a few months before applying again. The reason being, each time your CIBIL score is pulled out by a financial institution, that time stamp is also saved in the system. So if you apply back to back and banks notice how often your CIBIL score has been pulled in the past then they will assume the actions as ‘credit hunger’ and automatically reject your application, which will in turn impact your score negatively. 2. The credit card limit should not be reached If you are spending almost your entire credit limit every month, then chances are, your CIBIL credit score is being impacted in a negative way, even if you are clearing up payments before the due date. A good practice would be to only spend 30% of your credit card limit. If you have more than one credit card, then you can divide the credit amount among them. 3. No delayed payments The biggest and the most obvious reason behind a bad credit score is bad repayment history. After all, paying the minimum balance to avoid late fee seems so alluring, it’s almost hard to miss. But this small action can create a snowball effect and hurt your credit score. Whether its car loan EMI, home loan EMI or credit card payment, avoid late payments as much as possible. 4. Too many credit cards or loans is a bad idea Instead of using too many credit cards and taking out home or personal loans, try to minimize them as much as possible. For credit cards, always remember – older is better. Instead of getting more and more new cards, stick to the old ones and use them regularly (by spending 30% of the credit limit). Not only will the bank increase your credit limit because of this and it will also improve your CIBIL credit score in the long run. 5. There is a difference between secure and unsecure loans Secure loans are the ones that you cannot run away from, like home loans, because they are connected to an asset which the bank can use in case you default. Unsecure loans include credit card debts, personal loans, and car loans. 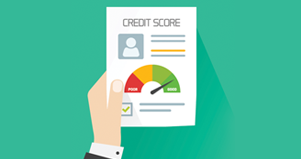 The right mix of unsecure and secure loans can highly improve your credit score. Ideally, you should have 80% secure loans and 20% unsecure loans. Final Words It also goes without saying that you should never settle up a loan or run away from it, since it can severally impact your credit score and you can even get blacklisted. While it might seem difficult, increasing CIBIL credit score is much easier than you think but it’s important to be patient.